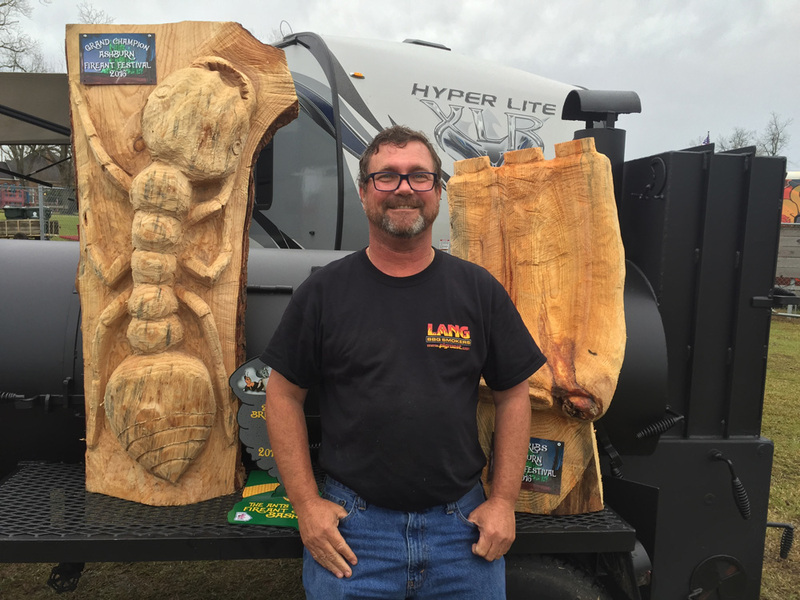 Darryl Strickland is a model of success when you go “by the book.” He has accomplished a great deal as a Lang Pit Master, Lang Q-School Instructor and award-winning competitor. Darryl actually started out in barbeque as a stress reliever from his profession, a paramedic. Dealing with so many life and death issues routinely is a heavy responsibility that naturally carries stress along. Barbeque brought to Darryl a new dimension in de-stressing. And it turned out that he’s very, very good at it. But that’s not the whole story, there’s more BBQ DNA running through his veins than you might know. Darryl has come to discover that the BBQ world is a family in the truest sense. That came in January of 2018, when an unexpected heart attack hit him. He was quickly flown to a cardiac facility in Jacksonville Florida. People, from as far as Texas, drove to the hospital to lend their support. Offering to be of any help they could to him. The waiting rooms were filled with people, most of which he didn’t know. Darryl believes completely that BBQing is really all about people and relationships. Whether you’re cooking professionally, in a restaurant, a competition or anywhere else, it’s about making friends and family feel welcome. 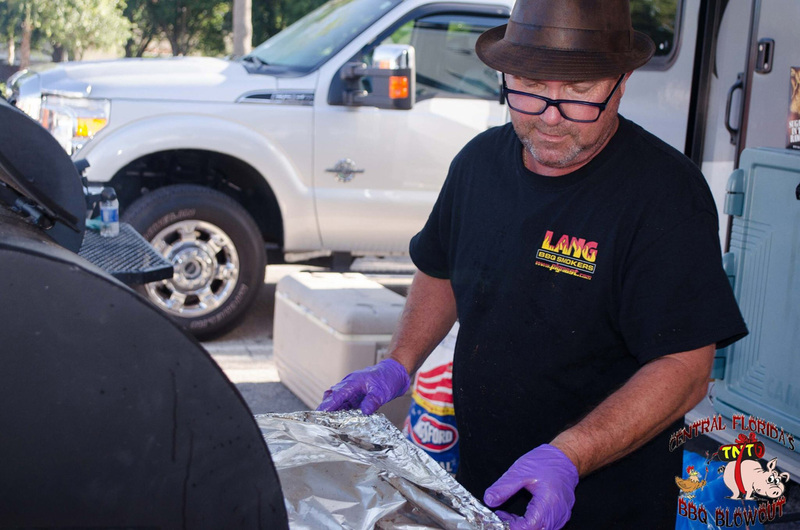 By enjoying a meal together, he feels it brings people together using his two Lang 48s” or his Lang 84.” For Darryl, BBQ means Bringing the Best Quality of life to those you care about. Having always been a people person, the heart attack brought him a whole new level of understanding. Darryl’s dad originally got him and his brother Jason into barbeque. They decided to try out some local competitions. The excitement and the fun of being with like-minded people turned into a positive addiction to people. Darryl has been cooking BBQ all his life, he has a culinary background from working in some very big restaurants. However, he started competing with his brother Jason to improve his skills and “rub smokers” with other talented people. 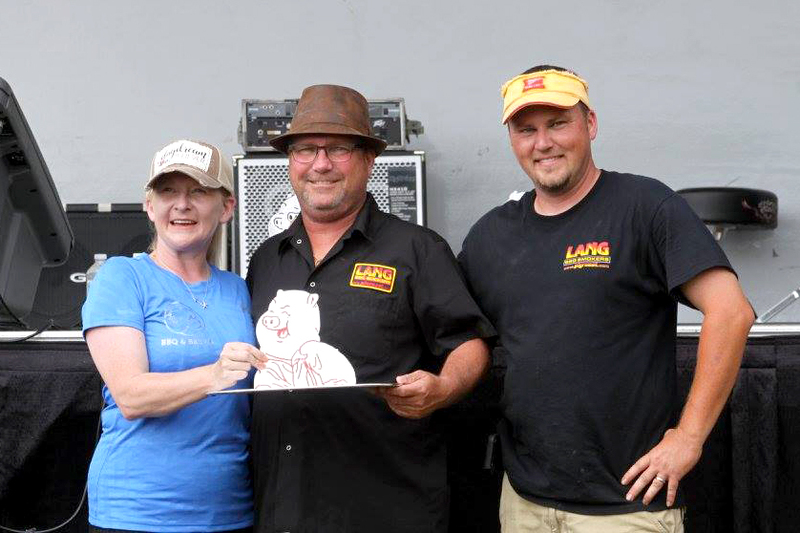 As Captain of the Lang BBQ Competition Team, Darryl travels throughout the southern states from Alabama to Florida to various smoker cooker competitions. His award-winning cooking comes from his willingness to practice and learn. This is because he wants to serve people well and be a part of the community. The Lang competition team is comprised of Darryl Strickland, Matt Lee, Jason Strickland, and Michelle Strickland. In March of 2016 they won the Grandmaster at the Fire Ant Festival in Ashburn, Georgia. They won team 1st in Ribs and 2nd in Brisket. Moreover, they won everything in the final Barbeque Cook Off! Darryl and Matt were instructors at the 2016 Summer Q-School. 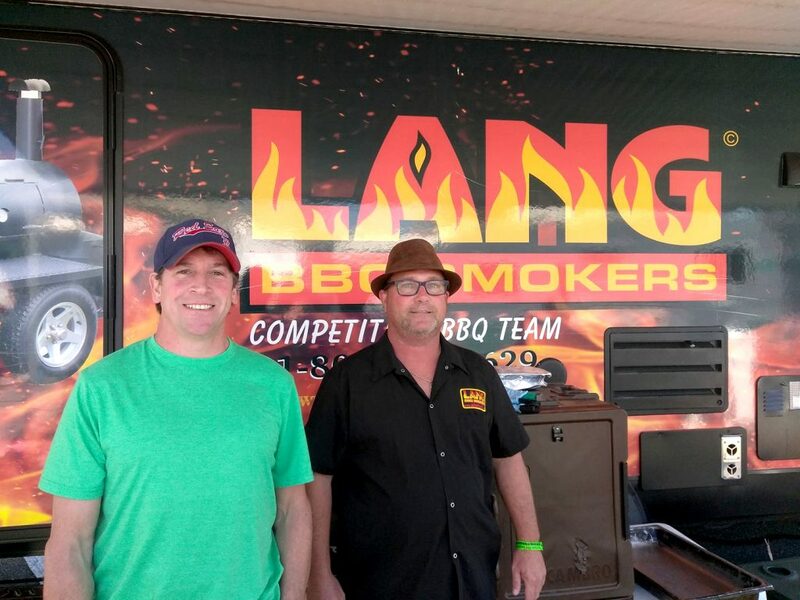 “Whatever I have accomplished, none of it would be possible without Ben Lang and his smokers. I don’t mean that as Lang just being a sponsor. Ben and his family have always treated me like I was family. I would not be doing what I do without them,” Darryl added. “I want to keep the legacy alive. People helped me along the way and I do the same. If I don’t pass on what I know I’ll just be a selfish and vain person. This is all about family, any way you look at it,” Darryl said. Darryl early on came to cook on a Lang. “Actually,” he said, “it was more like a Lang smoker chose me rather than the other way around. Since the whole point was to destress, he was determined to cook on the best he could find. Darryl found Lang smokers cookers easy to use and clean. The reverse flow gave his meals a flavor profile that was unsurpassed. 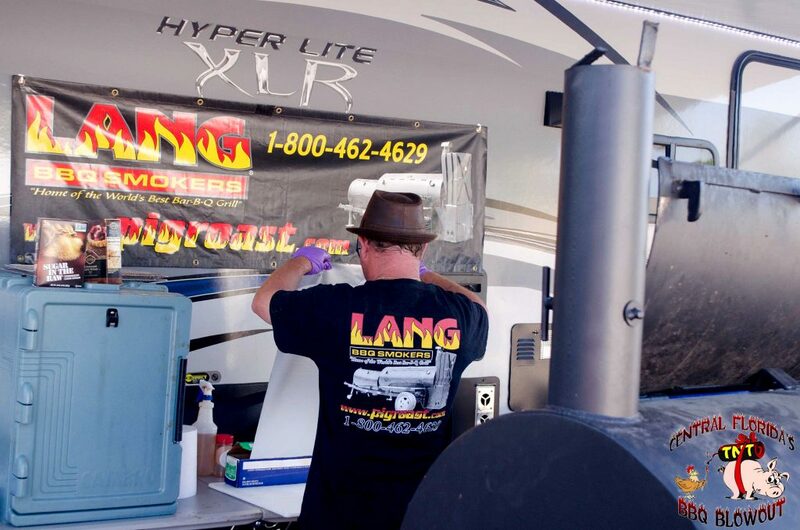 Lang BBQ smokers are fuel efficient and offer flexibility, whether you’re low and slow or hot and fast, it delivers every time. The options available added to the appeal of the offset-fire-box design. The smoker cooker models include designs for backyards, competition, and also commercial use. The factory will customize a unit to your needs. Above all, you have a dedicated Lang family and company that will support and stand behind you. Darryl favors his brisket and rice meal, Texas style. Rest another 20 minutes and enjoy! Q-School is a unique venue where BBQ enthusiasts, seasoned barbecue competitors, culinary students and those considering opening a BBQ business can develop new talents, smoking skills, and professional expertise. Participants learn how to prepare and select items to cook. They learn how to carve and present food, season, and develop their own flavor profile along with the tricks of smoking great food.